When a conservative Christian advocacy group cheers a decision, it is almost certain that progressives will shudder. This is the case with Texas Values, whose members are applauding “the majority of the [Texas] State Board of Education for doing the right thing” – by voting on September 14 to remove some historical figures, including Hillary Clinton and Helen Keller, from the mandatory social studies curriculum in Texas schools. In a note beside the deletion from the third-grade social studies curriculum in which Helen Keller was included in a lesson about “the characteristics of good citizenship,” the work group wrote, “Helen Keller does not best represent the concept of citizenship. Military and first responders are best represented.” While most Americans probably support military and first responders, this particular example betrays the bias of the work group: the military and law enforcement, in particular, are generally more supportive of right-wing policies and officials, and Keller was a strong advocate for progressive causes. While there was no comment next to the recommendation to remove Hillary Clinton from the high school curriculum, it is significant that high school students are still required to learn about former President Bill Clinton’s impeachment. 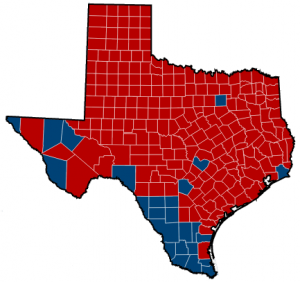 The Clintons, of course, are Democrats, and Texas is a notoriously “red,” GOP state. A work group recommended removing evangelist and Baptist pastor Billy Graham, but the state board kept him – once again showing a bias toward conservative Christianity (granted that Graham was widely beloved and respected around the world). The make-up of the Board itself is also telling. A state-level entity with influence over Texas’ 5.4 million schoolchildren is currently comprised of only five Democrats but 10 Republicans who are elected to four-year terms. Of course it is a worthwhile goal to streamline students’ education; it is difficult to teach every important event and personage in the history of the world, let alone the US, in the months allotted to the school year. 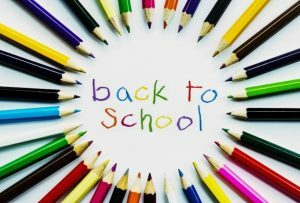 It is also laudable for Boards of Education to devise some kind of system to make curricular decisions, as long as that system is fair and meets agreed-upon educational needs and goals. These decisions in Texas, however, betray very disturbing motives and biases, especially since other states – and hence millions of other students across the nation – use textbooks based on the Texas Board’s decisions. The mission and vision of Texas Values are “to preserve and advance a culture of family values in the state of Texas and “to stand for biblical, Judeo-Christian values by ensuring Texas is a state in which religious liberty flourishes, families prosper, and every human life is valued.” It is difficult to see how removing a requirement to teach about the first female nominee of a major political party for President of the United States – who was also the First Lady of another President, a Senator, and a Secretary of State as well – fits with these goals. Not to mention also removing a singularly courageous woman – the first deaf-blind person to earn a college degree who supported women’s suffrage, labor rights, socialism, and antimilitarism. Family values? Are not women members of “families”? Are not these two stellar women “human lives” to be “valued”? As for Judeo-Christian values, Helen Keller was a devout follower of Emmanuel Swedenborg, who taught her a mystical form of Christianity, and Hillary Clinton has been a devout Methodist for her entire life. These facts mean nothing, apparently, to the Texas Board of Education. By this vote, the Texas Board has proven itself, instead, to be hypocritical, misogynist, grossly partisan and callous. Fortunately, since the September vote was not final, changes can be made before a final vote in November. Progressives and fair-minded Texans (we know you are out there! ): raise your voices over the next few weeks and shame your state’s Board into reconsidering their decision.